Category Archives: Under 20 minutes! I made this amazingly fresh and satisfying salad for a friend’s birthday and I was unbelievably surprised how well the flavors of cheese, bacon, brussel sprouts, and the sweet and tart dressing balance each other out and are flat out delicious! My husband and I love brussel sprouts, but cooking them whole or halved can get boring and I was looking for a new way to eat these. A raw preparation was definitely not at the top of my mind since I’ve become so used to cooking them in my cast iron pan like my recipe of ‘Roasted Brussel Sprouts‘. 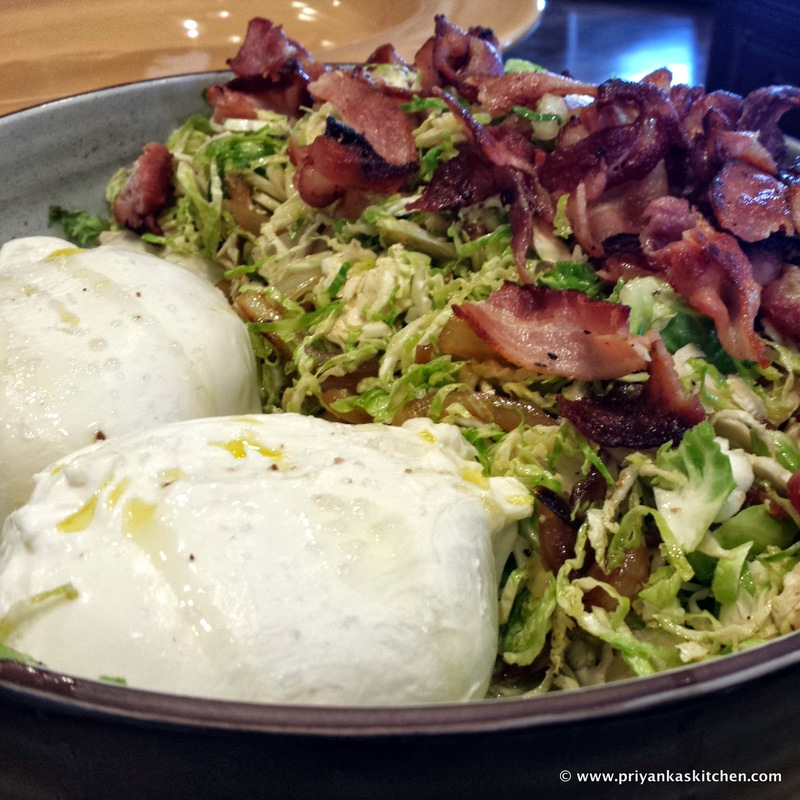 However, I found so many burrata and brussel sprout salad recipes online and realized that for my taste, something major was missing – that was bacon!! Bacon makes everything better, yes. However, this salad REALLY is complete with the added salty-crispiness added by the cooked bacon. Share this salad with your loved ones – if you are vegetarian, you can substitute the bacon for crispy tortilla chips (which you can buy from the supermarket as ready-to-go salad topper strips), or you can also add toasted sliced almonds for that extra crunch! Heat a sauté pan over medium-high heat and add one tablespoon of olive oil. Add onions and cook until browned and beautifully caramelized (about 10 minutes, stirring occasionally).. Remove from pan and set aside in a bowl. Add balsamic vinegar and let it sit for 5-10 minutes to soak in the flavor. In a separate pan, cook bacon until crispy (but not burnt). Set aside for later once cooked. Meanwhile, wash the brussel sprouts and remove outer leaves. Trim off the bottom nubs with a knife and cut each brussel sprout in half. Using either a mandoline (careful not to cut your hand!) or with a sharp knife, cut the sprouts into paper thin strips. trim nubs and halve sprouts. Using a mandoline or sharp knife, cut sprouts paper-thin. (An awesome shortcut is to use the slicing insert on a food processor to skip this step and save yourself a lot of time!). Transfer shaved leaves to a mixing bowl. Add onions and mix until evenly combined. In small bowl, whisk together the remaining 3 tablespoons of olive oil, 2 tablespoons of lemon juice, 1 tablespoon of honey and salt and pepper, to taste. 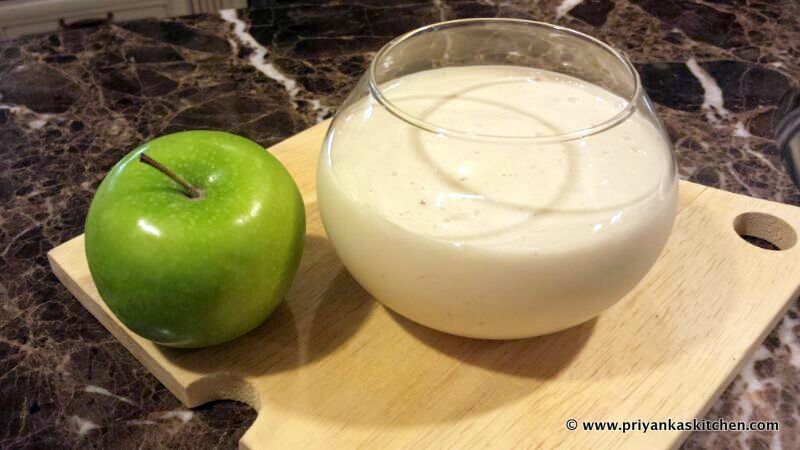 Taste the dressing and adjust honey/lemon juice/salt/pepper as needed to reach the balance you want. It’s ok if it’s a little salty and tart as it will even out when tossed with the sprouts. Toss slaw with enough vinaigrette to moisten. Taste and adjust seasoning with extra salt, pepper and lemon juice as needed. Let sit at least 10 minutes so sprouts can absorb the flavors. Put the marinated slaw in your serving bowl. Place burrata balls on the side in the serving bowl (so that your guests can take as much (or little) cheese as they want), and season the cheese lightly with salt and pepper and the last tablespoon of olive oil. Add in cooked, crispy bacon on top of the slaw. I grew up eating these delicious, light, fluffy sandwiches. My fondest memories of my summer days when I was in school include going for a rigorous swim, after which my mom would whip up these sandwiches for a light snack. These are often served in homes in India, and my guess is that this was India’s version of the British ‘tea sandwiches’. In India, they slather on butter instead of cream cheese, but I prefer the lightness (and lower calories) of using a light whipped cream cheese. 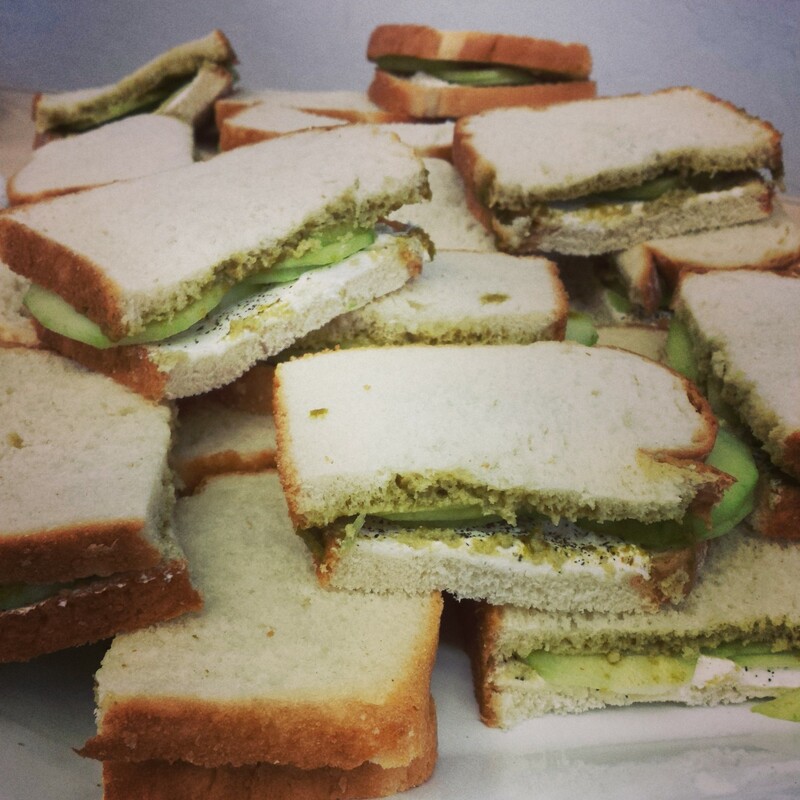 Fun idea: Stuff these sandwiches with some crispy chips like doritos for an added crunch! Spread the cream cheese on one slice of bread. Now lightly salt and pepper this piece of bread. Now spread the chutney over the cream cheese (this minimizes the bread getting soggy from the chutney). Now arrange the slices of cucumber on top of either side (you can add less or more cucumber according to taste). 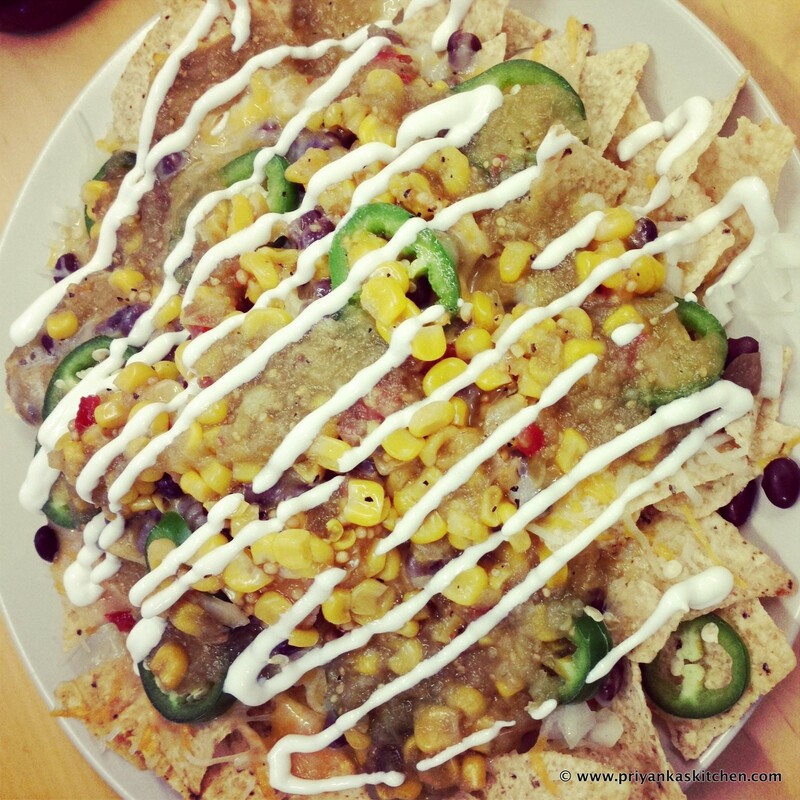 Have you guys been tempted by the oozy, amazingness of cheesy nachos at a baseball game or your local taqueria? DON’T DO IT!!! There is absolutely no reason to take in that synthetic, re-heated cheese and poison your body with it, when you can make even tastier nachos at home with real cheese! 🙂 This is a no-cook recipe that takes less than a few minutes to assemble and less than 2 minutes in the microwave. A one-plate meal or finger-food, depending on what your craving is. 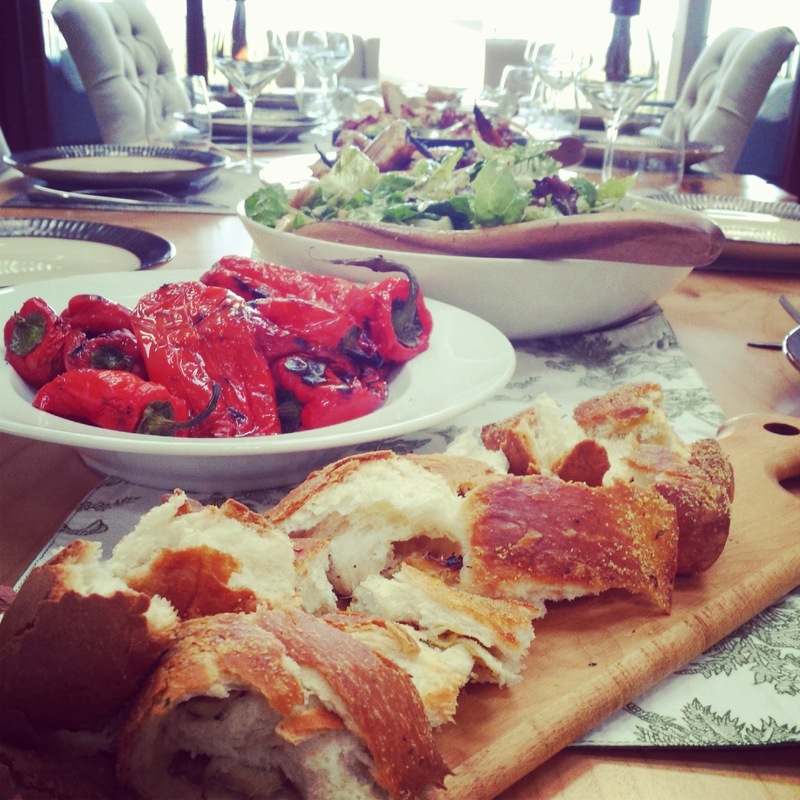 Serve this as a hot appetizer at your next party too! A dear family friend of ours is an AMAZING cook and she recently made her specialty fish dish for my mom when she was recently unwell. This is my attempt to recreate it from what I remember, but this is an adaptation since I have added coriander powder and tested my own variation on how much of each ingredient goes into the paste. 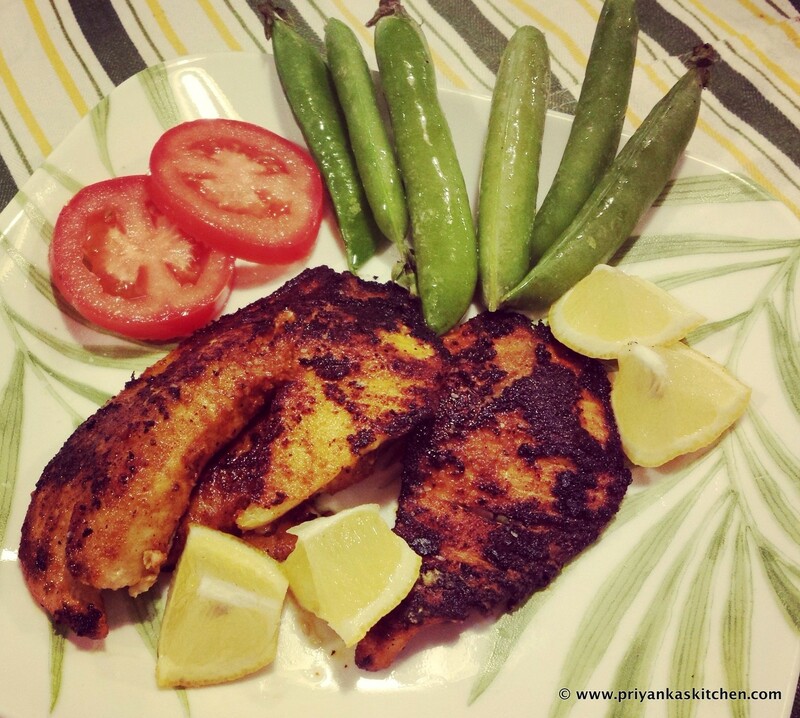 My favorite part of this dish is the crispy exterior and succulent interior combined with the spicy, garlic paste that the fish is coated with. In a blender, pureé all of the marinade ingredients until well-incorporated. Using gloves (to avoid smelling like fish as well as saving yourself from the hot chili powder), spread the marinade paste all over both sides of the fish filets. If you have a few minutes to spare, let them sit in the marinade for 15-20 minutes. Meanwhile, heat up your skillet over medium-high heat. Once the skillet is hot, turn down the heat a notch and add the filets. Cook for approximately 4-5 minutes (depending on the thickness of the fish you are using), undisturbed so you get a nice crispy crust. Flip the fish and cook the filets until cooked to your liking. I was walking through Trader Joe’s, and given the curious consumer that I am, I always make a pit stop at the ‘tasting station’ to see what little tasties they are offering. I usually don’t ever buy whatever they are tasting, but this one fine day, the cookie butter milkshake grabbed ALL of my attention. I went back for a second one, and HAD to recreate it at home. Friends that I have served this to can stand by the fact that this may very well be THE best milkshake in the entire world. Just when you thought that peanut butter-chocolate or strawberry-banana combinations were your favorite, THINK AGAIN!!!!!! Cookie butter (a.k.a. ‘speculoos‘) is not peanut butter, it’s not almond butter. If you’ve ever had biscoff cookies, this is a butter made out of those gorgeous little bites of heaven. It is made out of cinnamon-spiced cookies, blended into a smooth, creamy, and outright ADDICTIVE butter. This recipe is not easy on the waistline, but indulge a little and share this recipe with your loved ones on a hot day! Treat yourself and replace a meal with this milkshake. You won’t regret it and will become an addict (like me). 😉 Enjoy!! PS – so sorry, but I had to be cheeky with this post’s picture. This milkshake feels a little healthier when paired with an apple 😉 Life is all about balance, right? Hi my loves! 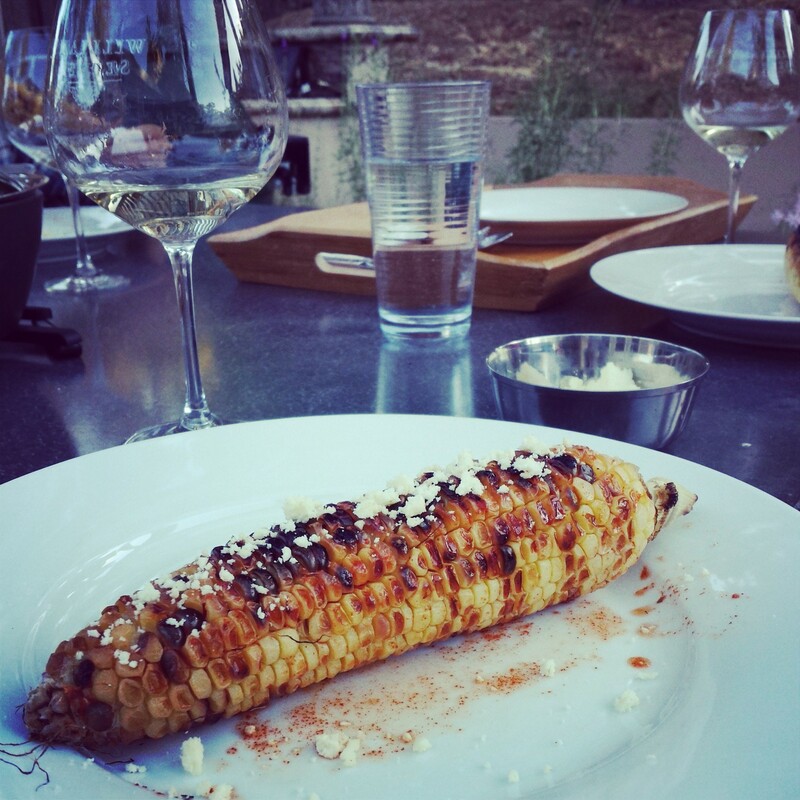 This summer, you MUST get outside and grill some beautiful corn! This preparation of eating whole corn on the cob is a mix of my experience eating road-side roasted corn in India with my love for Mexican flavors (i.e. the salty Cotija cheese!). This is an easy appetizer to complement your grilled vegetables and meat at your next outdoor soiree. Enjoy! Grill the corn on the cob directly on the grill until done to your liking. Meanwhile, prepare your cayenne-lemon paste. In a small bowl, juice the lemon halves and add the cayenne pepper. Using one of the lemon halves as a ‘spoon’, mix these two ingredients into a paste and reserve this lemon half to apply the paste to the corn! Just leave it in the bowl. This is the quintessential, classic green vegetable soup that we all grew up on in America. 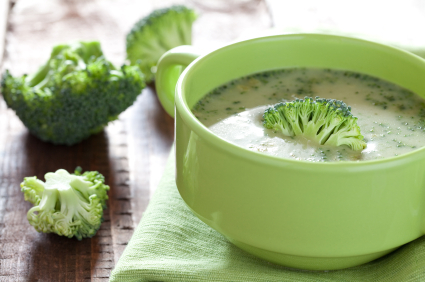 Our parents ‘conned’ us into eating green veggies with this soup, but perhaps we conned them into enjoying such a luscious and creamy and cheesy treat! 😉 My soup craze continues, and I hope you enjoy this simple yet delicious recipe that you can share with both your young and adult friends! Melt 2 tablespoons butter in medium sized stock pot, and saute onion and celery until tender. Add broccoli and broth, cover and simmer for 10 minutes. Put all the ingredients in a blender (don’t fill the blender pitcher more than halfway full and be sure to hold down the lid of the blender with a folded kitchen towel). Carefully start the blender, pulsing first, then leaving it on the ‘liquefy’ or ‘puree’ setting for about 30 seconds-1 minute (depending on the strength of your blender). Note: If you do not own a blender, you can use a stick blender and puree the soup right in the cooking pot.